Today's Entrepreneur is David Friedman, co-founder, and CEO of Knox Financial. For people who are moving, Knox offers a solution for turning their homes into investment properties, delivering passive income while empowering lifestyle freedom and superior wealth creation. David is an entrepreneur with experience launching and growing several companies from idea to profitability. 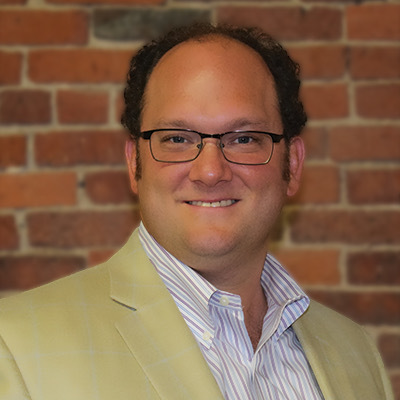 Prior to Knox Financial, David co-founded Boston Logic (now Propertybase) and now serves on its Board of Directors.. Boston Logic provides software, online marketing, and design services to real estate companies. David holds a Mechanical Engineering degree from Tufts University. David: I want to change the world. David: Well, it’s hard not to mention my last startup Propertybase, formerly known as Boston Logic. It was my first baby. I spent over 10 years of my life building that business. Now it’s a large company owned by a PE firm. It’s really no longer a startup though. I’m also a fan of Butcher Box. My friend Mike is the CEO and founder. He’s grown an amazing company to an incredible scale. They’re kind of under the radar, though somehow huge at the same time. Embark is cool. They have self-driving 18 wheelers driving from CA to FLA already. David: A few years ago, I sold a condo that I’d lived in for 10 years. While I lived there, the value went up over $200,000. I thought that was pretty great! However, 4 years after I sold the home, the new owner sold it again for another $200,000 more. I kicked myself for selling when I had. In fact, I’d considered converting the home into an income property when I moved out. I looked into lining up financing and insurance. I thought about finding a tenant and collecting rent. I started to price maintenance contracts. In the end, it was just a lot of work. I threw my hands up and sold, only to regret it later. In a self-deprecating way, I told this story to friends over the next several months. As it turns out, lots of my friends had gone through a similar thought process and almost all of them had reached the same conclusion. They knew their homes would make great investments, but they couldn’t get past the effort required to make the transition. They also didn’t want to take on the work of being a landlord. I realized that if someone could make that process frictionless, lots of folks would have an amazing investment opportunity right in front of them. David: The most frustrating part is those days when everything seems to be extra hard and nothing is just connecting. You’re trying to connect 2 pieces of software, but the data just won’t flow and you can’t figure out why. You’ve explained a requirement to a vendor 3 times and they still don’t get it. You feel like you’re not making any headway. The most rewarding thing is seeing people who you’ve worked with for years achieve beyond what they thought they would ever do. Non-college grads who get big option payouts. Junior teammates given big responsibility years before they expected it, taking the work on like a champion, and then knocking it out of the park. The pride they exhibit in those kinds of accomplishments is rewarding like few other things I’ve experienced. David: Thinking that raising capital equates to success. You will make big mistakes. It’s OK. We all do it. Don’t dwell. So long as those mistakes don’t put you out of business, you’re doing great. People are the ballgame. Hire great people and your likelihood of success goes through the roof. If you spend your time relentlessly focused on hiring the best, and success is possible, you will find it. If you don’t look at the people around you in awe, you haven’t hired well enough. Success does not come from 1 or 2 people working day and night 7 days a week. Success comes from great teams working hard, achieving goals, and then going home to enjoy life with their friends and family. Why focus on helping homeowners? David: People buy homes because they want to build wealth. They build the majority of their wealth through their home. Then, they put the rest of their savings in investments that perform far below that of their real estate. This holds true whether the home is worth $100,000 or $1,000,000. We know that there are millions of people who would like to build wealth faster and most of them already believe in real estate as the best way to do so. They just need someone to make it easy. It’s exciting to fill that need. In doing so, we aim to change the way people build wealth beyond their primary residence. Knox is the smart and frictionless way to turn your current home into an investment property delivering passive income while empowering lifestyle freedom, and superior wealth creation.